Dense graceful arching habit. Small slightly toothed mid green leaves. 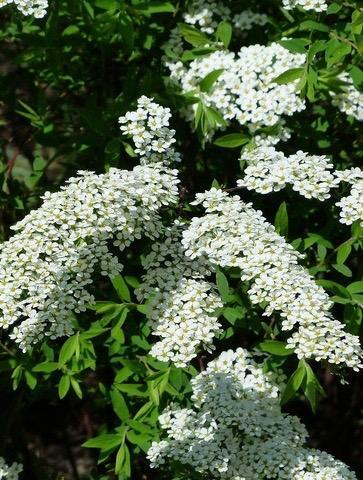 Festooned with tiny pure white flowers, April to May. Sun or semi shade. 2m tall. Prune after flowering if needed.